We love a bit of building on the telly, there are more and more programs about restoration, self build, conversion, and improvement for homes and gardens aren’t there? The time-frame for completing the project is not exaggerated – good building projects take time. Good restoration projects often take more time! Because we are such a large website for Homebuilders, Home Improvers and DIY enthusiasts the production company for Restoration Man, Tiger Aspect, have asked us to approach our users to find building projects for their next series. They are looking for restoration projects on any building that has a really interesting history or is an unusual building – think folly, dovecote, public toilet (yes public toilet – did you see that episode of Amazing Spaces?). 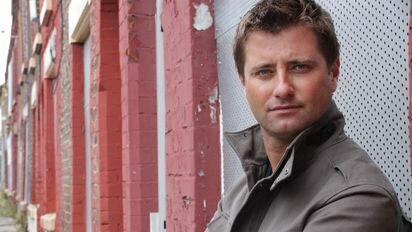 Click on the image above for an interview with George Clarke about the program, on the Channel 4 Website. If you think you have just the thing to feature on the program, and you fancy your 15 minutes of fame, get in touch by contacting the Restoration Man team on 0208 222 4042 or restorationman@tigeraspect.co.uk. Good luck! Let us know if you get accepted.